This month’s First Friday will be double the fun, as you’ll be able to catch us at not one, but TWO great locations! Find us in the alley way next to Jerry’s Pizza & Pub, where you can also get the best asada and chicken street tacos! From 6-7pm catch the music of N$F, and at 7pm Grown Folks Music by Rod P and Nu Standard. 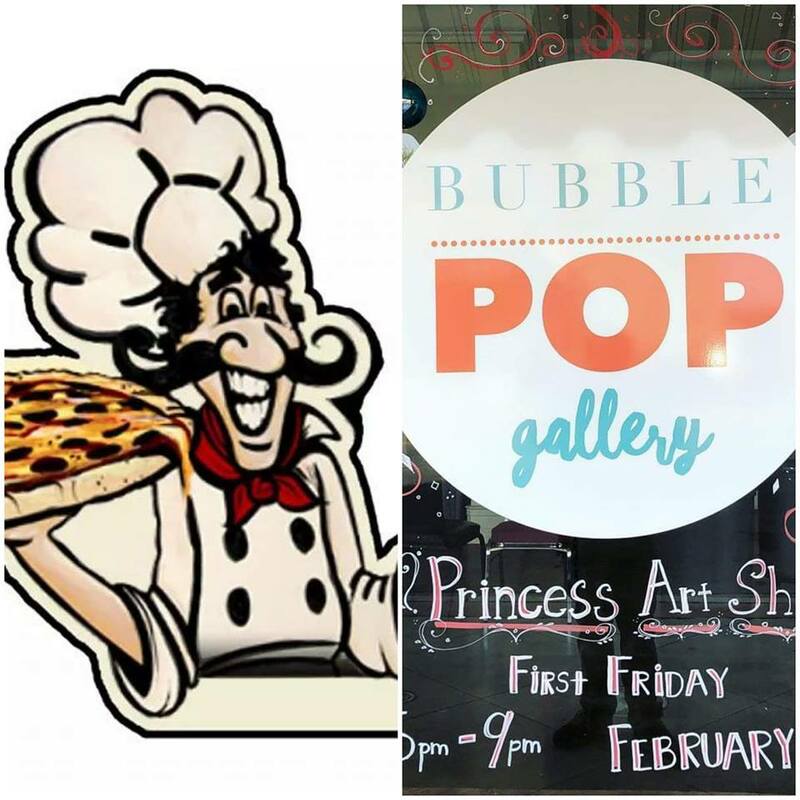 Also find us at Bubble Pop Gallery for the Princess Art show, which will feature over 20 artists and 40+ new pieces on display. Plus, this is the celebration of their 1st Anniversary! The flavors of Strawberry, Cherry Almond, and Reese’s will be available for purchase in standard petite and mini size loaves. A festive Red Velvet will also be available in mini, and cute heart-shaped petite loaves that will be sold in pairs. You don’t want to miss out on either of these great festivities, see you there! Previous Bob Marley 74th Birthday Jamdown w/Mento Buru & Friends!